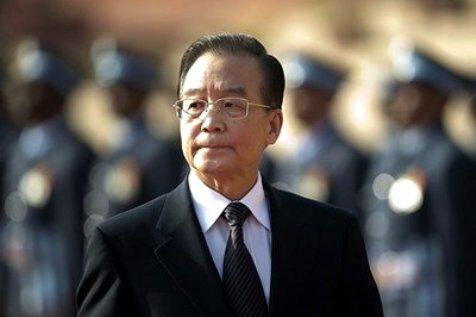 BEIJING, March 5, 2011 (KATAKAMI.COM / AFP) – Reining in prices is China’s “top priority” in 2011, according to a speech Premier Wen Jiabao was to deliver to the nation’s parliament Saturday, which reiterated a four percent inflation goal, AFP reported on Saturday. 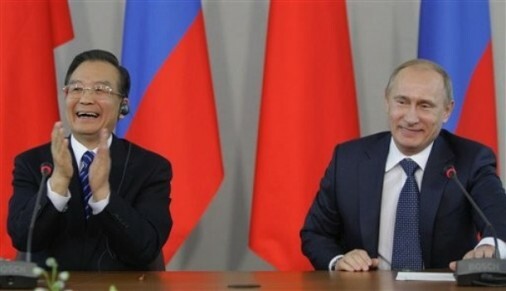 The world’s second-largest economy will target eight percent growth this year, and seven percent growth in the 2011-2015 period, Wen was to say, as he outlined the country’s priorities for the coming year. The premier acknowledged that the communist leadership has “not yet fundamentally solved a number of issues that the masses feel strongly about” — from price rises to illegal land grabs to corruption. “Recent prices have risen fairly quickly and inflation expectations have increased,” Wen was to say. Soaring prices of food, housing and other essentials have become the top public concern in China and Wen’s “state of the nation” speech to the rubber-stamp parliament pledged new efforts to contain the problem. “We will resolutely regulate the housing market. We will act more quickly to improve the long-term mechanism for regulating the real estate market,” he was to say, according to the text. China aims to “generally stabilise housing prices and meet the reasonable demands of residents for housing,” Wen was to say. China announced last month that January inflation remained stubbornly high at 4.9 percent despite a series of measures taken to dampen price rises, including three interest rate hikes in the past four months. The consumer price index, the main inflation gauge, had hit a more than two-year high of 5.1 in November. The urgency of addressing key social issues has been underlined in the past two weeks by mysterious Internet calls for weekly Sunday “strolling” rallies in major cities, which have largely fizzled under a smothering security presence. Wen noted the “large income gap” dividing rich and poor, as well as the need to boost minimum wages. Shanghai’s municipal government said earlier this week it would raise the minimum wage 14 percent, taking the figure in the financial hub to 1,280 yuan ($194) per month from 1,120 yuan. 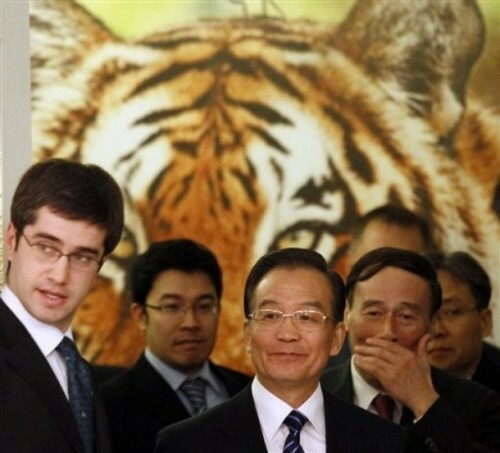 December 19, 2010 (KATAKAMI / VOA) — Chinese Premier Wen Jiabao ended a 3-day visit to Pakistan Sunday. The premier said in his parliament address the “symptoms and root cause” of terrorism need to be eliminated. Pakistan’s porous border with Afghanistan is widely seen as a haven for militants. Pakistan and China signed a number of business deals worth billions of dollars during Mr. Wen’s visit. 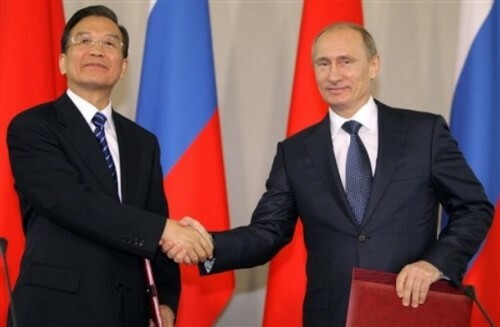 Officials say the deals aim to promote cooperation in the energy sector. 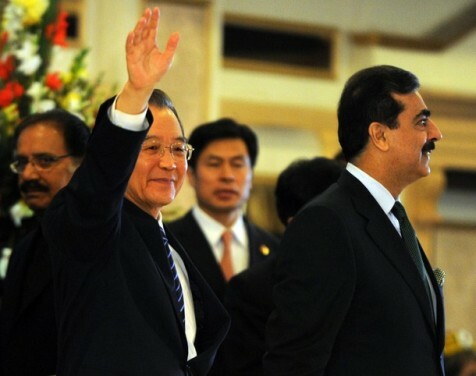 Pakistani Prime Minister Yusuf Raza Gilani said Islamabad is extending China incentives to promote investment and development in the South Asian nation. Pakistan says China has also agreed to provide $229 million to Pakistan to rebuild from floods that devastated much of the county, and another $400 million in loans. 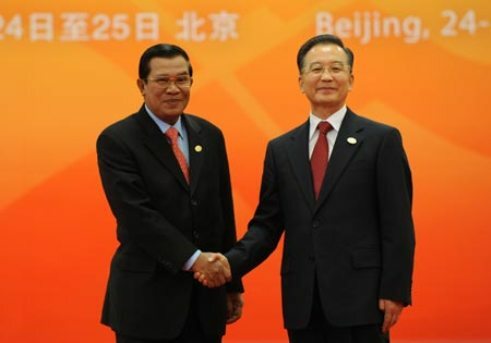 December 13, 2010 (KATAKAMI) — Cambodian Prime Minister Hun Sen on Monday left here for Beijing, China to pay an official visit from Dec. 13 – 17 at the invitation of his Chinese counterpart, Wen Jiabao. Hun Sen was seen off at the Phnom Penh International Airport by Deputy Prime Minister Sar Kheng, minister of interior, Deputy Prime Minister Sok An, minister of council of ministers and He Leping, charge d’affaires of Chinese Embassy, as well as other government officials. He was accompanied by Deputy Prime Minister Hor Namhong, minister of foreign affairs and international cooperation, Cham Prasidh, minister of commerce and other high-ranking officials. The premier said on Sunday that his visit to China is aimed to strengthen friendly relations between the two countries in various fields and learn Chinese experience to help develop the country. During his five-day visit, Hun Sen will pay courtesy calls on Chinese President Hu Jintao, Chairman of the Standing Committee of the National People’s Congress Wu Bangguo and will hold talk with Premier Wen Jiabao. He will also receive in a Royal Audience by former king Norodom Sihanouk, who is in Beijing for medical treatment, according to a press release of the Ministry of Foreign Affairs and International Cooperation. 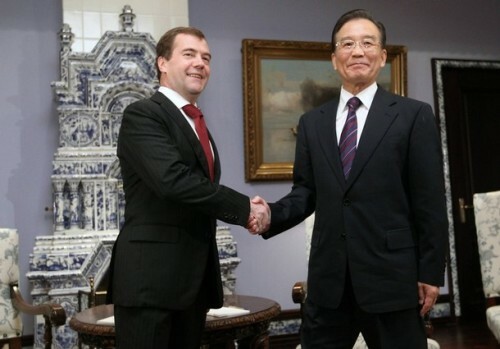 File photo : Chinese Premier Wen Jiabao (L) meets with Russian Prime Minister Vladimir Putin in Moscow, capital of Russia, Oct. 28, 2008. 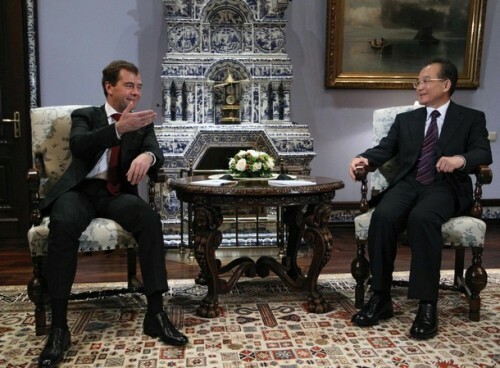 November 18, 2010 (KATAKAMI) — Chinese Premier Wen Jiabao will pay official visits to Russia and Tajikistan from Nov. 22 to 25 at the invitation of Russian Prime Minister Vladimir Putin and Tajikistan Prime Minister Akil Akilov. 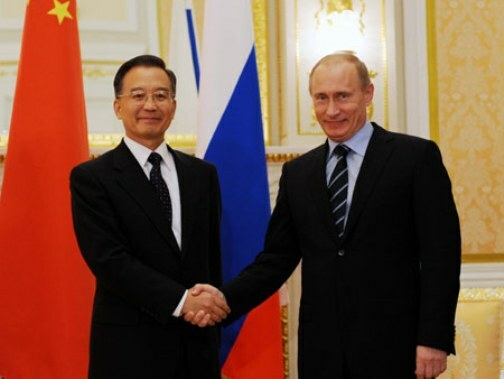 During the visits, Premier Wen Jiabao will attend the 15th Chinese-Russian prime ministers meeting and the ninth prime ministers meeting of the Shanghai Cooperation Organization.